An Ikeja Magistrate court on Thursday remanded Amusat Ashiru, 60, for allegedly defiling his 12-year-old daughter in Lagos. Ashiru, who resides at Orisunbare, Shasha, was paraded at the Police Headquarters on July 3 for allegedly having carnal knowledge of his daughter after she moved in with in April. 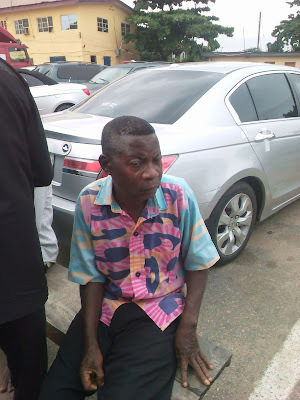 Ashiru,a bus driver, was arrested on June 29 after the Lagos Police received information from a concerned citizen. However, Police investigation into the matter revealed that the mother of the survivor separated from the father just after her birth. The Police Prosecutor, ASP Ezekiel Ayorinde, told the court that the accused committed the offence sometime in May at his residence and the sexual abuse happened multiple times. When interviewed, the accused father blamed the Devil for his abominable act. “It is the Devil’s work even though my daughter consented to the act,” he said. The Magistrate, Mrs B.O. Osunsanmi, who presided over the case turned deaf ears to the accused pleas, ordering that he be kept behind bars pending advice from the State Director of Public Prosecutions (DPP). The case has been adjourned to August 6 this year for further hearing.